What is a risk to reward ratio? A risk-reward ratio is a calculation of how much you are willing to risk in a trade, versus how much you plan to aim for as a profit target. The basic principle behind the risk to reward ratio is to look for opportunities where the reward outweighs the risk. The greater the possible gains, the more losing trades your account can withstand at a time. The first thing you should look at, which is one of the biggest mistakes traders make in regards to their set up, is not having a positive risk to reward ratio. What this means, in case you haven’t come across this term yet, risk to reward is how much you gain on every winning trade and how much you lose on every losing trade. 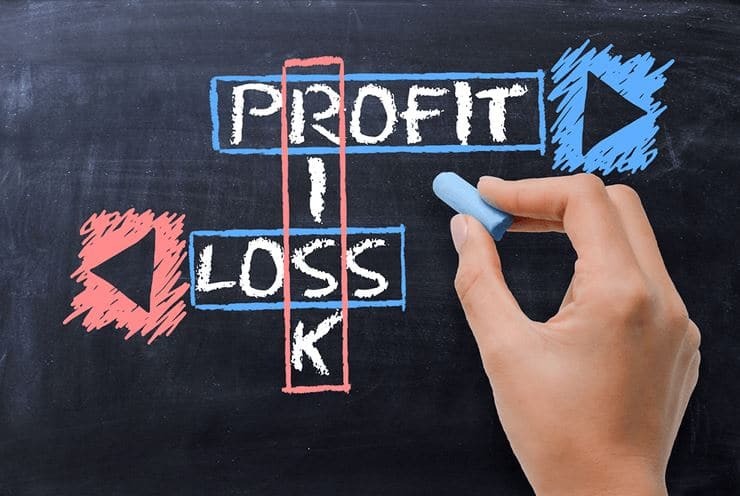 The term ‘risk’ is used to describe the amount of money you may lose in a trade. On the other hand ‘reward’ means the profit you may gain. How do I implement a risk-reward strategy? It is very important to know how much you are going to gain with every winning trade and how much you can lose in every losing trade, because based on these two aspects you can create a plan of how you are going to be making money trading the Forex (or any other) market. So here is an example of just the typical approach to Forex trading and we are looking out for credit that doesn’t make any money. Most Forex traders who lose money, have a set-up where a risk to reward is non-existent. This means that they don’t know how much they could lose on any given trade. Sometimes they lose 6 percent. Sometimes they lose 2 percent or in an extreme case they might lose 20 percent. Another day they may even lose 50 percent. Now, we can’t build a formula for success based on this because we don’t know how much we are going to lose on any given trade. This is just looking at losing trades but we also need to examine the winning trades of course. At times, you might make a 4 percent return on one winning trade or you might make a 2 percent return on a winning trade. However, what normally happens is that you may make 0.1 percent on the winning trade because it also depends on how much you will be risking on a losing trade. This is where stop-loss orders become important. You need to make sure to capture as much profit as possible so you always model that you do not close out your trades way too early because you are scared of the price going against you and ending in this kind of result. So, with only this piece of information here, we can’t create any sort of formula for success yet. It is impossible because we do not have a guaranteed number to look at. Let’s look at it from another perspective. Now, most traders who make money have a positive risk to reward ratio. There are obviously lots of different risk to reward ratios that you can apply but the general rule is: the more positive the ratio the better. What you need to know though is how much you win on each trade and how much you lose in order to create a plan for success based on these numbers. As an example, on every losing trade you risk no more than 2%. On winning trades, however, you make at least 6% or more. These are the two important factors you need to know in order to plan for success. On everyone winning trade and on every losing trade you know that you will be losing no more than 2% and on every winning trade you gain at least 6%. With these two numbers you can create a plan. In the above mentioned example, we know that we have a 1:3 risk to reward ratio, because we know that we make gains of 3 times the amount of our losing trades. This means that we would only need 3 winning trades at 6% out of 10 closed trades to break even. This doesn’t even take greater gains of 7, 8, 12% or even bigger into account. So even if you are only 33% correct – which is a pretty poor performance – each day, week or month, depending on how frequently you trade, you would already be breaking even. In other words, what this means is that, with everything above 3 trades is profit based on our 6% example. Let’s look at a concrete example: let’s say we’re looking at 10 trades in one week and you’re only in for a 12% return. One trade gives you 12% profit, another one 6% and the third winning trade gives you a 10% return. Overall, these 3 trades gave you 28% in profit with only 33% accuracy. Now, if all other 7 trades you make are losing trades at 2%, you’re only looking at a total of 14% in losses. Even though you had more than twice as much losing trades than winning trades, you made double the amount of profit because of your successful trading plan and positive risk to reward ratio. Your winning formula would be 14% because you gained 28% but only lost 14%. Even with this fairly weak outcome of only 3 out of 10 winning trades you could walk away with a 14% gain each week. On a standard Forex account of $10,000 you would be looking at gains worth $1,400 a week with only being correct 3 times out of 10 trades. If this would be applied over a whole month you’d be looking at returns worth more than $5,000. In conclusion, to be a successful Forex trader, you don’t need to get all of your trades right, but you simply need a positive risk to reward ratio. In order to do so you need to find winning trades that guarantee you the right amount of returns compared to the losing trades. The type of risk-reward ratio that you as a trader should use depends on the type of trader you are, as well as the current market conditions. It would be ideal if you could always find trades that had high rewards and low risk, but what you might find in reality could be very different, especially during times where the market is highly volatile. One thing you should definitely try to avoid is having your risk be bigger than your reward, particularly if you are a beginner, but there is no particular ratio that works for all traders. The important thing is that you use a ratio that makes sense for your trading style and the market conditions.